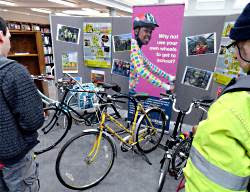 This week, York's library has an exhibition of bikes (right). 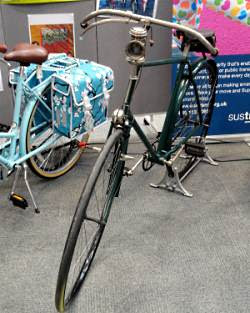 It's promoting cycling, specifically Sustrans's Big Pedal (5-23 March). 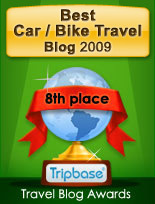 It's of interest to kids on half-term, and cycling bloggers with a similar mental age who also have nothing better to do. There's some interesting stuff in the small display, notably this 1890s Safety Bicycle (right), from a private collection. It has different sized wheels (30" front, 28" back), and a fixed gear. No doubt the transport of choice for late-Victorian cycle couriers, dodging the Hansoms to deliver urgent packages of snuff in their bowler hats. 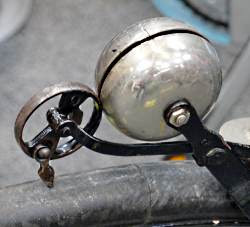 ...and a bell (right) that sits on the front tyre and rings all the time you are in motion. That would shut up those cycletrack jaywalkers who complain in local newspapers about silent bikes approaching from behind. 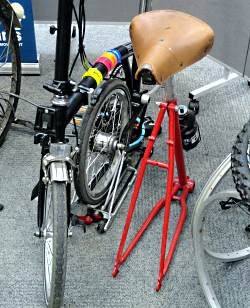 ...and a novelty seat made from a bike saddle and frame part (right). Handy where space is a premium, or you have unexpected guests you don't want to stay long. 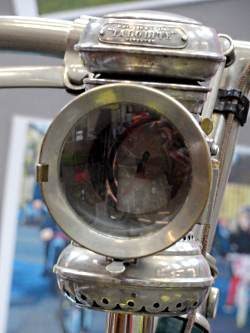 The two objects above came (we're told) from the Bike Rescue project just by York station, which sells reconditioned old bikes for delightfully small amounts of money. 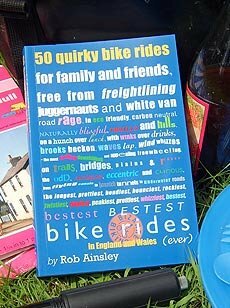 (You can typically pick up a preloved town bike, a Raleigh ten-speed perhaps, with three months' warranty, for eighty quid or so.) We like them. 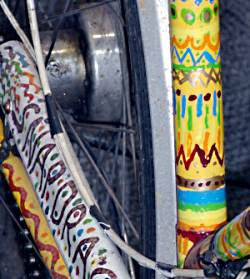 Such rescue bikes don't all get intricate paint jobs like the one on display in the library (above right) but it certainly makes your bike distinctive. 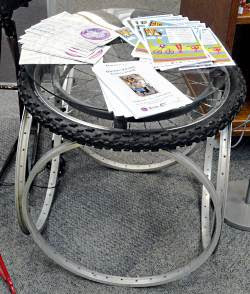 Round the back of the display is a pinup gallery of kids' poems about their bikes. It's just crying out for a final, limerickish line, though. How about "Now I'm off to the pub for a while"?